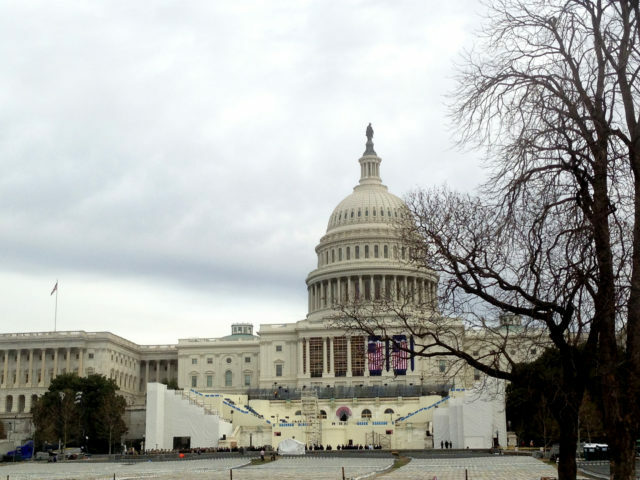 This will be an inauguration like no other. As Donald Trump prepares to take the oath of office on Friday, the mood in Washington is expectant, anxious and defiant. A new Gallup poll shows that Trump – unlike any other president-elect in modern history – has actually lost popularity since the election. Having failed to use the past two months to bring the nation together, Trump may find that a massive protest march planned for Saturday, Jan. 21, will eclipse his inaugural parade. There may be also be lawsuits filed against the new president for his unwillingness to divest fully of business holdings. This position puts Trump at risk of violating the emoluments clause of the United States Constitution, which forbids payments from foreign governments to U.S. officials. Investigations will also be proceeding into actions by Russia that may have compromised the U.S. electoral process and Trump personally. In that context — leaving aside the more salacious and unverified details of a dossier prepared by a former British intelligence officer — Trump’s continued praise of Russian President Vladimir Putin and denigration of the NATO alliance and European Union have been strange and unsettling. Last week, Washington Post columnist and veteran journalist David Ignatius revealed that Trump’s choice as national security adviser, Michael Flynn, spoke several times on the phone with Russian ambassador to the U.S. Sergei Kislyak on Dec. 29. That was the same day that the Barack Obama administration expelled 35 Russian officials and slapped other sanctions on Moscow for hacking the Democratic National Committee and giving private emails to Wikileaks to disseminate. The Trump transition said that there had been no discussion of the sanctions and that Flynn merely wanted to coordinate a future phone call between Trump and Putin. But the number and frequency of Flynn’s contacts with Kislyak raise concerns. The leak to Ignatius – which suggests U.S. intelligence surveillance of Flynn or Kislyak or both — could also be a warning shot across the president-elect’s bow. Trump will need to depend on intelligence agencies to deal with a range of threats to U.S. national security. Their lack of mutual confidence is disconcerting to say the least. There are also mounting questions about the cohesion of Trump’s cabinet. Many of his nominees appear to disagree with their soon-to-be boss over fundamental issues such as U.S. policy toward Russia. While several of the nominees – in particular James Mattis as defense secretary – acquitted themselves well in congressional hearings last week, others had a bumpier ride. 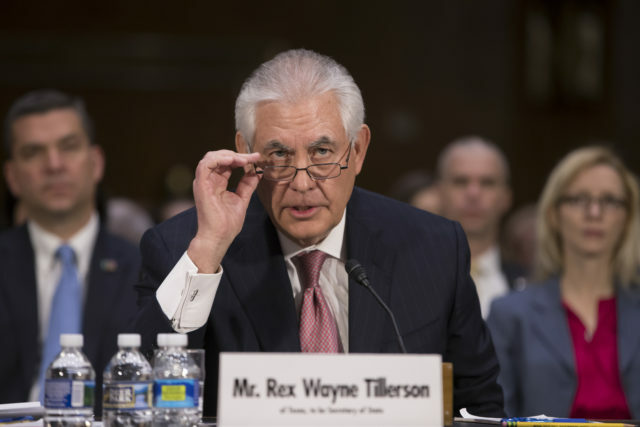 Rex Tillerson, the former CEO of Exxon-Mobil who has been tapped as secretary of state, claimed he didn’t know that the oil giant had lobbied the U.S. Congress against sanctioning Russia, where the company has major investments. While Tillerson, in response to questions, called Russia’s occupation of Crimea a violation of international law, he declined to label Putin a “war criminal” for Russia’s bombardment of the civilian population of Syria’s largest city, Aleppo, and earlier, the destruction of the Chechen capital, Grozny. Undermining bipartisan support for the nominees is the fact that the Cabinet is older, whiter, richer, more male and more military than any in decades. There are three retired generals selected for senior positions in the incoming administration but no women or racial minorities in the top tier of Secretary of State, Defense Secretary, Treasury Secretary, Attorney General and national security adviser. The Trump transition has also been slow to choose people for secondary positions. It has not announced senior directors for the National Security Council or even a deputy Secretary of State. All of President Obama’s political appointees must resign effect Jan. 20, leaving lower-level career civil servants to keep bureaucracies functioning. Nostalgia for Obama is already palpable in this city of federal workers and policy wonks – a metropolis that voted 94% for Trump’s rival, Hillary Clinton. New York Times columnist Maureen Dowd has described the mood in the capital as “pre-traumatic stress disorder.” But there is also a growing sense of defiance and resistance as Democrats prepare to defend Obama’s legacy. Fear – or hope — that Trump will falter is combined with a morbid fascination with how he will behave in office. Will he continue to use Twitter as his main form of communication with the public and his own staff? Will he persist in petty counterattacks on individuals who criticize him, from actress Meryl Streep to civil rights icon John Lewis? The Trump election has spurred a new mobilization among liberal groups and activists who are already preparing for the next congressional elections in 2018. The Jan. 21 Women’s March on Washington includes people representing all sorts of causes that fear the impact of the new administration, from supporters of reproductive choice and universal health care to environmentalists and activists for criminal justice reform. More than 1200 buses have requested parking permits for the march, compared to only 200 for the inauguration; at least a quarter of a million people are expected to attend the protests. Local gyms are putting down mattresses for marchers who can’t find another place to sleep. Tickets to a “peace ball” showcasing voices of “hope and resistance” at the newly opened National Museum of African American History are sold out. In his farewell speech to the nation on Jan. 10, Obama gave a stirring defense of democracy with a small “d,” stressing the need for constant vigilance and action to maintain and extend civil liberties. The “unalienable rights, among them life, liberty, and the pursuit of happiness,” demanded by Americans in the Declaration of Independence “while self-evident, have never been self-executing,” Obama said. It was an important reminder that American democracy has never been a spectator sport. Long after Trump has left the White House, there will be a need for civic activism to ensure that the government remains one that is of, for and by the people of the United States.